Are there staff you manage who really frustrate you? Do conversations with them seem to just go around in circles? Are you (and others) walking on eggshells around them? Dealing with someone you can’t seem to reason with is tough. No matter how experienced a leader you are, you can end up feeling like you’ve hit a brick wall. Take Louise. 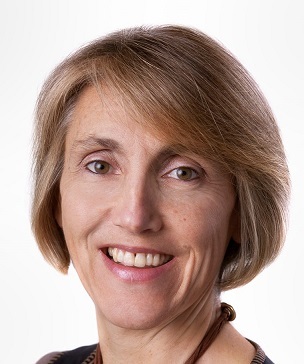 She managed a small team of 7 people in the health care sector. Relationships had deteriorated over a two year period, in particular with one staff member, Frank. Team meetings had become so fractious that they had to be postponed indefinitely. Battles were played out instead, in emails. Patient care was impacted because Frank was refusing to do his fair share and Louise and other colleagues were having to pick up the slack. A reflective, thoughtful person, Louise is committed and motivated, keen to do a good job and provide an efficient service to the public. Work is pressurising enough without the hassle of trying to deal with someone who seems to be working against you. No matter how skilled you are at delivering the service, the ongoing strain of managing someone who’s constantly pushing your buttons is draining. Imagine if you had a plan to deal with someone who is resisting all the time? How much easier would it be if you could get them to co-operate and work with you instead of against you? Wouldn’t it be a relief if this person didn’t take up so much of your time and energy? The entire programme was very practical and conducted in an encouraging and supportive atmosphere. If you wish to enhance your skills as a leader, particularly in helping people to understand each other and work together, then this is certainly an excellent programme to undertake. 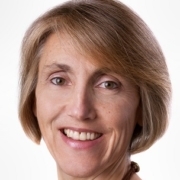 I’ve met many exasperated managers like Louise over the past ten years of mediating, coaching, training and teaching. That is why I designed this unique workshop and coaching programme. It will introduce you to POISE NOW™ an 8-step action plan for transforming ‘difficult’ conversations. You then get an opportunity to practice in small group role play simulations or, if you prefer ‘real’ play. This is an opportunity for you to where you can explore a live situation that you need to confront but in a safe and supportive environment. Mary’s programme was excellently delivered and challenged the participants to address the real issues for them. Mary is a true professional and skilled coach in this area. Excellent training, one of the best in a long time for me. 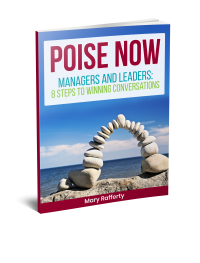 It was so practical and great opportunity to work through the POISE NOW- 8 steps for Winning Conversations. What was best was that there was a very clear, systematic and memorable path that can be used as a tool for so many situations. It focuses your mind on getting the most out of the conversation. I would recommend this training to any manager, supervisor, trainer or HR professional looking for simple but effective tool to deal with conflict or difficult conversations with their team members. The scenarios were very realistic and ones that related directly to my role. The content was clear and kept your attention for the entire duration. It was a small group so felt much more personal than some other courses I have been on, you get more attention from Mary than other course leaders. I would recommend this course to all mangers and leaders, no matter what experience they have. I promise you will find it useful and use the skills you learn. * Coaching sessions take place online with Skype or Zoom software, can also be delivered face-to-face on-site. This will incur additional costs for time and travel. Online coaching, means you get to choose the place and space that is most private for you ensuring convenience and confidentiality. The session can be recorded so no need to take notes or worry about trying to remember what you learned. It’s also more cost effective as the coach doesn’t have to travel to your venue.